This past January, set against the celebration of Dr. King’s 89th birthday, the most prominent story in the news centered on what would happen to the nation’s “dreamers” – the 800,000 or so “alien” minors protected under DACA (Deferred Action for Childhood Arrivals). Tensions surrounding this debate were exacerbated by profane and abhorrent language from the White House, which specifically disparaged nations such as Haiti and Nigeria. 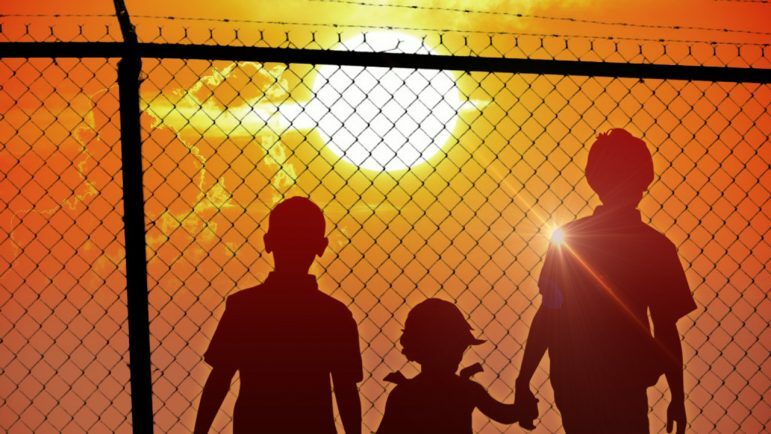 A few months later, we learned that at least 2,500 immigrant children from Latin America had been detained and separated from their parents at the U.S. Border, and then sent to detention centers as far away as Chicago, New York, San Francisco, Portland and Seattle. As a number of other stories are dominating the news cycle today, we aren’t hearing as much about the fate of America’s immigrants. Still, we do know there are as many as 500 children who are currently separated from their parents (and may never be reunited). Moreover, as Newsweek reported earlier this month, there are nearly 13,000 immigrant children currently being held in U.S. detention facilities, which is an all-time record. And finally, the long-term fate of America’s dreamers is still up in the air. It is critical to keep these issues front and center. And, it is equally important that we understand the indelible impact of immigrants on our history and culture. The debate over immigration in America, “illegal” or otherwise, is as old as the republic itself. The likes of Thomas Paine, George Washington and Thomas Jefferson addressed the virtues of immigration in the late 18th century, as would many who followed in their footsteps. Research reflects this sentiment and reveals the extraordinary contributions that immigrants have made and continue to make in this country today. For example, the Small Business Administration finds that immigrants are significantly more likely to start their own businesses and create jobs for themselves and others. The Fiscal Policy Institute reports that immigrant-owned small businesses employ approximately five million people and contribute upwards of $800 billion to America’s economy. Additional data illustrates that immigrants are more likely to be homeowners, their children are more likely to attend college, and they are less likely to be involved in the criminal justice system. According to the latest statistics, Latin American immigrants alone add four to five percent to the U.S. labor force and make enormous contributions to agriculture, the building trades, and other fields. And, while we are at it, let’s look at some of the nations that were so blatantly disrespected by the wretched discourse from the White House as well as many pundits and sycophants across America, starting with Haiti. All the way back in 1988, a New York Times editorial by historian Alfred Hunt highlighted “Haiti’s unrequited gifts to U.S. history and culture.” Haiti, its people and its resources, were essential to America’s Revolutionary War effort. Today, Haitian immigrants in places such as Brooklyn and Miami include doctors, lawyers, scientists, engineers, entrepreneurs, and other hard-working citizens. Now let’s consider immigrants from the many nations of Africa, which were also disparaged. Census data shows that African immigrants have the most education of any immigrant group – nearly 44 percent have a college diploma. This is even higher than the achievement rate of native-born Americans, 39 percent of whom have earned at least a two-year degree. There is also the fact that during the 19th century, when millions of European immigrants from lands such as Ireland, Italy and Poland arrived in this country with nothing but the clothes on their bac, they were pestered, persecuted, and generally considered less than human. And finally, let us never forget that America was built largely on the violent appropriation of land from its native populations (including land that once belonged to Mexico) and 246 years of slave labor from the hands of African men, women and children. Whether we are the descendants of slaves, indigenous tribes, immigrants or refugees, people from every corner of this earth have contributed to this nation. So it shouldn’t matter if one is from Asia, Latin America, Africa, the Middle East, Europe or elsewhere. Nor should it matter what one has when they arrive. For it is those who came to this land with nothing that made it into what it is today. They have had the imagination to make America live out its original promise in the Declaration of Independence.